‘This Is About You’ is one half of a narrative diptych, often shown alongside it’s sister illustration: ‘This Is About Me’. 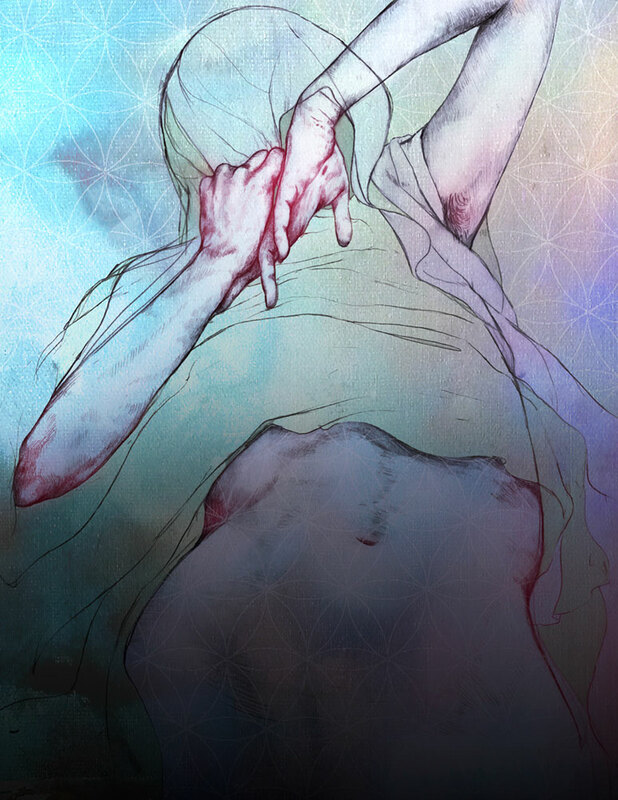 The piece balances a haunting contrast between pastel color and dark shadow, as well as reality versus fantasy. The facial identity of the figure is hidden, yet the body is revealed. It is unclear whether the subject is in the process of hiding or uncloaking. The confrontational title “This is About You’ paired with the image’s visual ambiguity evokes the viewer to project interpretations of the female body presented to them, and reflect on one’s reasoning behind assumptions.